We did it! Jimmy Hornet is celebrating 1 Year in China. This reel shows Jimmy Hornet Zhongshan China as it was before and after the renovation. It was an abandoned, cold and clinical space. It’s now a warm and unique venue, restaurant and bar….and it’s also my happy place. Building A1 in ePark, East District, Zhongshan was once a Cantonese Canteen. Now renovated, the building is the flagship Jimmy Hornet venue. Jimmy Hornet (Zhongshan) now comprises a performance stage and state of the art sound system. It seats 80 people comfortably and offers a large, fully equipped bar. The goal at Jimmy Hornet is to provide the general public with a unique and creative experience. It combines inspiring sound, delectable taste, imaginative design, and thought provoking art, in one store front. Jimmy’s performance space features singer songwriters and musicians from around the globe, in an intimate and comfortable “theatrette” style. Jimmy’s kitchen uses high quality and fresh ingredients to design delectable morsels to tempt your palette and delight your soul. Chef Manuel Gutierrez hails from Costa Rica and brings a rich background in Latin American Cuisine to Jimmy Hornet. 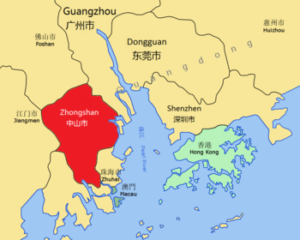 Zhongshan 中山 is a prefecture-level city in the south of the Pearl River Delta within Guangdong Province. The population in 2012 was 3 million. It has risen to approximately 4 million over the last five years. Zhongshan is one of veery few cities in China to be named after a person. It was named after Dr. Sun Yat-Sen (1866-1925) who is known in Mandarin as Sun Zhongshan. He was the founding father of the Republic of China. Sanxiang Town is famous for it’s two natural hot springs. Xiaolan Garden Pavillions dedicated to the cultivation of chrysanthemums. Discover China by visiting the One Woman in China category on this website. 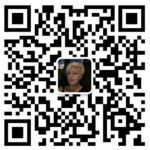 Here I will share general information on living and working in China.